This move-in ready, open concept, one-story floor plan features 3 bedrooms, 2 bathrooms, and a private, fenced yard. It sits on 0.22 acres with lots of room between neighbors, and backs to HOA space. Inside, the family room and eat-in kitchen are separated by a breakfast bar. The family room has three large windows that let in lots of natural light. The kitchen is loaded with cabinets and counter space, plus a pantry. There’s a dining area in the kitchen that is also open to the family room. The bedrooms are spread far apart, with one in the front of the house, one in the middle, and the owners suite on the back. The owners suite is over-sized and offers a walk-in closet and private bath, which has a jetted walk-in Jacuzzi tub, raised vanity with two sinks, and a glass shower. The laundry room is conveniently located at the garage entrance, so it doubles as a mudroom. Moss Grove Plantation is located between Hwy 17A and 52, just outside Moncks Corner and about 15 minutes from Summerville, Goose Creek, and Lake Moultrie. The neighborhood has its own swimming pool, play park, pavilion, boat storage, and small lake with a kayak launch. 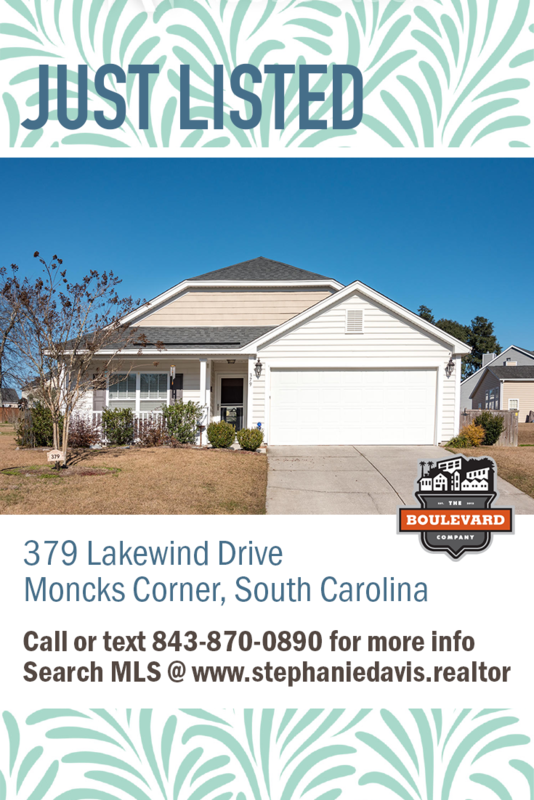 Call 843-870-0890 to schedule your showing today!